What’s the secret ingredient for a good logo? The tools, resources, and trade skill that feed into the final product. With choosing the right software, hardware, and learning materials, much of the planning in logo design happens before you even pick up a pencil (or stylus). Below, we’ve created a shortlist of the best resources in logo graphic design, from drawing tablets to online classes. Take a look and choose the best tools for you. For logo vector graphics design, the two of the most respected software products among professional designers are Adobe Illustrator and CorelDRAW. Each grew popular for different reasons, so check to see which one suits your tastes. The industry standard for vector art, Adobe Illustrator CC is preferred for logo design (vectors work best for logos since you’ll be manipulating their size often for use in different materials). It's a favorite of Adobe fans because of it’s easy integration with Photoshop and InDesign, especially for transferring vector files. Illustrator also offers a host of extra features like cloud support, workspace customization, and a strong online community. However, the learning curve is steep, so there’s a substantial time investment before you can use it effortlessly for logo design. The other major competitor for logo design software is CorelDRAW, mainly because of its LiveSketch. Hand-drawn illustrations are a recent trend in logo design, and LiveSketch uses AI to realistically interpret drawn strokes from either drawing tablets or touchscreens. It’s the recommended choice for designers who love hand drawing or plan to incorporate illustrations in a lot of their designs. The downsides are its price tag ($499 or an annual subscription of $198/year) and that it’s exclusively for Windows. Be sure to see what real users have to say on these tools and more on G2 Crowd's graphic design software category. If you don’t want to commit dozens of hours to learning a design tool, there’s plenty of beginner software that allows you to make simple designs. While you can always hire a professional designer to create a high-quality logo design for you, if you’d prefer to do it yourself and need a finished product fast, start with one of the basic software programs below. Sothink Logo Maker stands apart from the other basic design software in that it offers the same beginner-friendly usability, but with a few extra features like a pen tool for original shapes and a full color palette. Summitsoft Logo Design Studio also goes above and beyond other amateur software. Its 2,000 templates and 6,000+ vector shapes (with expansion packs for sale) make it easy to build a new logo from old parts, plus you can always design an original one with the pen tool. Summitsoft also offers an additional charged service where experts review your design and send back three professional versions. If you have some graphic design experience, or plan to design logos often, it might be worth it to invest in learning a professional program. Wacom is the name you can trust in drawing tablets, and its MobileStudio Pro is one of its most recent product launches. Digital artists can draw right on the high-resolution screen with the included Wacom Pro Pen 2, and the tool’s color accuracy is fit for professional work. If you’re looking for design hardware closer to an actual laptop, try the Lenovo ThinkPad Tablet. Awarded “Best Brand Overall 2017” by Laptop Mag, the ThinkPad tablet is famous for its quality and durability (tested against military-grade equipment). Features like voice-responsiveness and a detachable keyboard with a fingerprint reader earn it popularity among its users. The ThinkPad family also includes laptops, desktops, and “Yoga” hybrids if those are more your style. If you’re looking for a device that’s suitable for beginners, you may have to work up to a Wacom tablet. 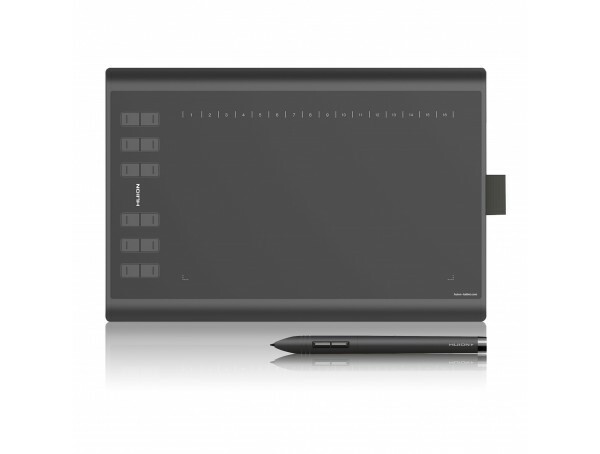 New designers should consider the Huion New 1060 Plus. Aside from the cheaper price tag, Huion’s signature tablet offers the same quick stylus response time required for designing logos. However, the cheaper cost means losing the high-end features; this tablet is neither wireless nor capable of multi-touch usability. You have the right software, you have the hardware… but now what do you do with them? 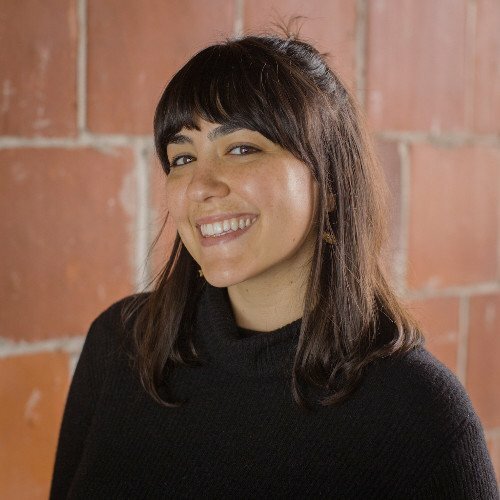 Designing a logo requires knowing at least the basics, but luckily there are plenty of accessible educational resources to get you started. Regarded as the seminal book on logo design, David Airey’s Logo Design Love is the best place to start. Not only does it break down the finer points of what makes logos effective, it also explains the branding theory behind the right logo choices. 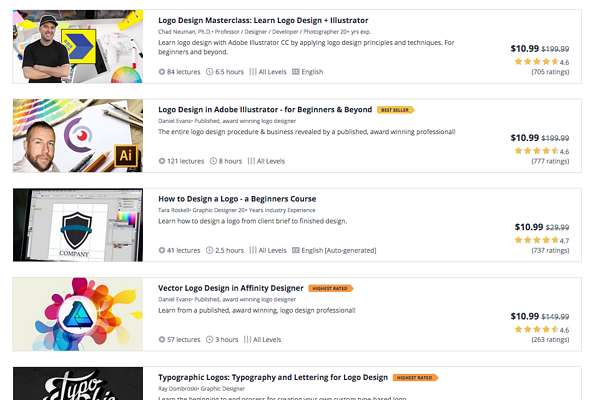 If you prefer online classes, Udemy has just updated its logo design courses as of April 2018. Most logo design video tutorials are broken up by either what software you’re using or what effect you’re trying to create — at Udemy and elsewhere. Most of the Udemy classes teach for Illustrator, but beginners can use the free trial for class. 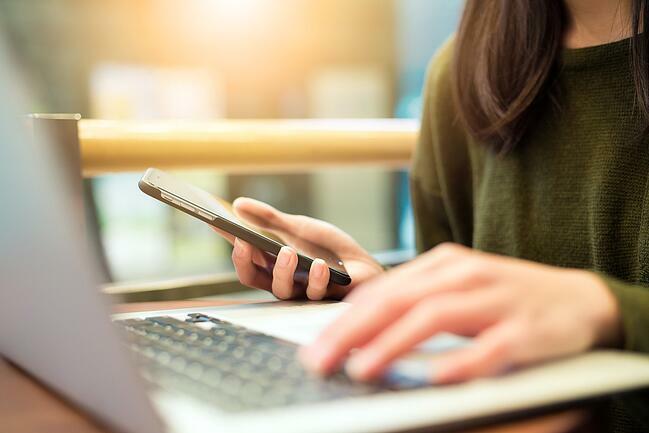 Each varies in skill levels, specific topics covered, and prices, so if you’re looking for a particular course to fit your budget, browse their selections. Finally, it may help to find design inspiration by immersing yourself in logo art. Logospire is a site created specifically to browse logo designs, featuring exemplary logos one after the other. With an endless scroll and mobile-friendly layout, you can turn logo research into a fun and relaxing activity. There are many other resources scattered across the web for creating logos such as Venngage's resource on simple backgrounds for logos. Be sure to search for inspiration before diving into your design. Much of what makes a logo design tool effective is how it matches the user’s personal preferences. Aside from empirical factors like price or level of difficulty, you also need to consider what functions work best for you. For example, do you prefer to customize your software’s workspace? Are you going to do enough free-hand drawing to justify buying a tablet? For better or worse, there are a lot of design tools out there, and that means something for everyone — the fun part is finding yours. Ready to make your first logo? Learn the best free graphic design software for beginners to make their first logo in 2018.